Experience the true Hustle and Bustle of the Bangkok water ways and get lost in the maze of spice and floral aromas. This tour will let you explore the true culture of Thailand through the eyes of its locals. Hop on a boat and do your morning shop. Get a real taste of the Thai lifestyle. We will pick you up from you hotel or other location in Bangkok set off on the drive of around 80km to the Southeast, where you will experience the art of coconut sugar making before boarding a long-tail boat and cruising along the visually delightful canals. The views will take in the superb canal-side scenery and traditional, rural life in Thailand in this area where the fruit plantations are abundant. 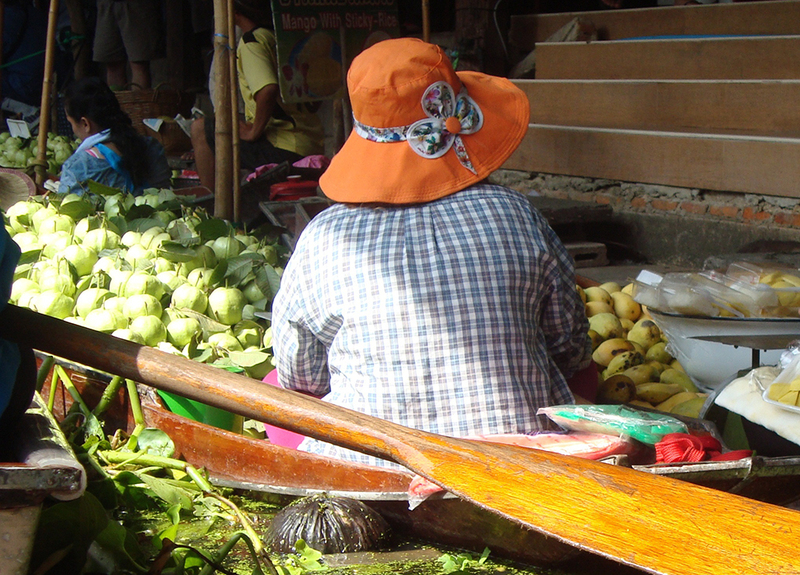 Along the canals of Thailand you will see the vendor boats; selling fruit, herbs and local crafts and products. When we are done for the day, we will drop you back at the airport, hotel or Bangkok venue of your choice.